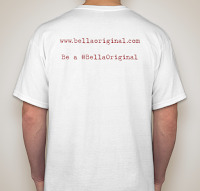 If you follow me on other social media platforms, you've seen many posts/tweets about Be a #BellaOriginal. You may be wondering what it's all about, so today's blog is dedicated to inform and inspire you about this great new venture I'm taking on! 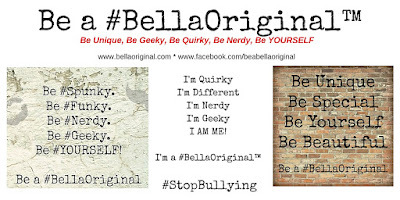 Be a #BellaOriginal™ is about being sassy, spunky, bold, brash, geeky, nerdy, silly but most of all YOURSELF. In Italian, Bella means "Beautiful". 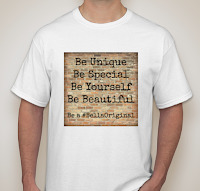 Our page, Be a BellaOriginal reminds each person that they are a beautiful, unique, original human being. Society tries to tell children (and adults) that they must conform and "fit into" what society considers its norms. 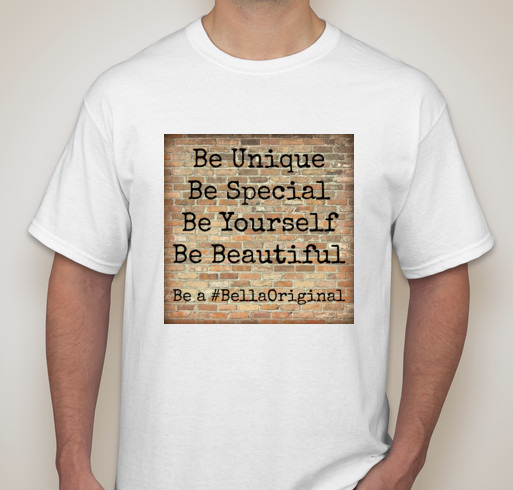 Through fundraising, Be a #BellaOriginal will be hosting events for pre-teens/teens/young adults on self-worth and anti-bullying in the Moberly & Columbia Missouri area. We hope to secure some amazing speakers and volunteers to help organize and put on these events. I'm going to be working with volunteers in other areas as well! I'm starting this foundation because not only was I teased and bullied as a child, more recently my youngest daughter was bullied and teased in jr. high in Columbia MO. The teacher in one of her classes witnessed the bullying and when my daughter spoke up and told the boys to "STOP IT", she was sent to the principal's office for her "outburst". Needless to say I printed out the Columbia School District's policies on bullying as well as those from the state of Missouri and sent them in with my daughter the next day. Luckily the situation was taken care of, but the bullying led her to start cutting herself, talk of suicide and wanting to move in with her father (he lives in the town where she went to school until 7th grade. When we divorced, she wanted to live with me). She has since moved back with her dad. We got her counseling and she's now a Senior in high school. She is going to be helping with the foundation by speaking to younger kids about her experience and how it affected her. So now you know more about Be a #BellaOriginal. Here's the not so fun part. We are raising money to start the foundation (Incorporate, Attorney, Accountant, and all the fun legal start up costs). Below you'll find the form to donate to our Fundly account. There's also a Donate button to the right. We also have some cool merchandise you can purchase and the funds go to the foundation. And FINALLY, we're holding an Online Benefit Auction Sept 25 thru Sept 28. You can help by donating items, being a vendor or being a customer! 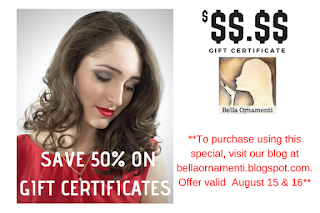 There's jewelry, handmade baby items and even a 1 hour guitar lesson!